This is a great time to be alive! This is a great time to BE! 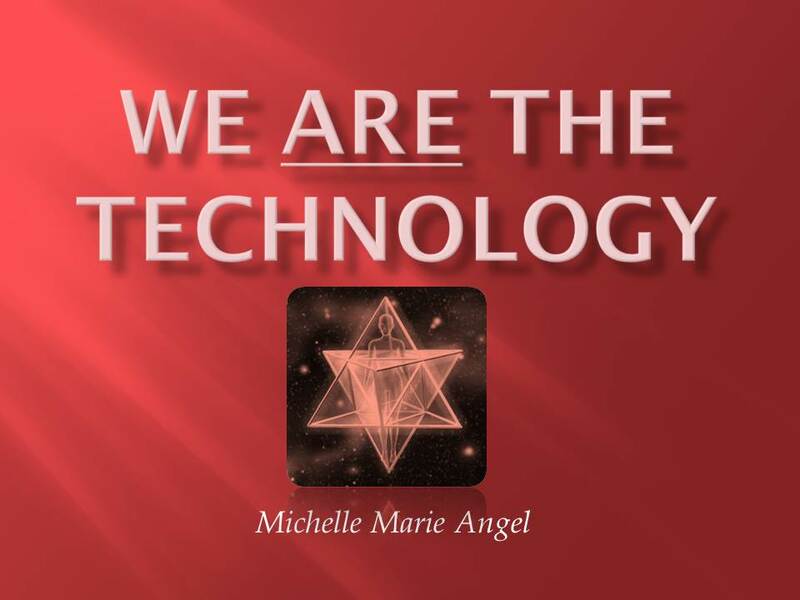 This website is designed to present the books, products, and projects that have been written and created by Michelle Marie Angel for the purpose of awakened awareness. Currently, humanity as a whole and each of us as individuals are going through a major transformation. Evolution is imminent. There are many words for this shift, but any way you want to describe it, the effects are the same. From the way I see it, we are becoming more deeply self-aware as we are being pushed to our limits, and then some. It is helpful to be open and receptive. Resistance and over analyzing only serve to make the process more difficult. This is a time to tune in, and “Go with the flow.” Many people call this new field of collective consciousness, or new way of BEing, the New Paradigm. Get on board with the New Paradigm through consciousness transformation. It is my honor and pleasure to help assist with this shift in consciousness. As we realize our gifts and powers, we realize our true divine nature through the essence of our empowered expression. We are learning to control our vibrational frequencies. 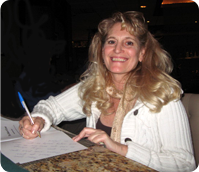 We are transforming from victim consciousness to conscious creators. It’s all science. We are becoming Masters of ourselves. Become empowered now by realizing the truth of your Divinity and express your fullest potential. Visit the Message Page to read messages and get uplifted NOW! Event #1 Hear Your Soul Call Sat. April 20 12:00 – 4:00 p.m. 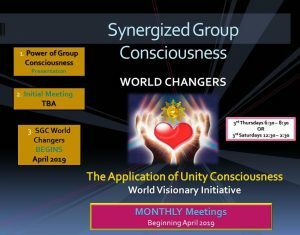 Event #2 Power of Group Consciousness Sat. May 18 12:00 – 4:00 p.m. Together we are taking our power back! that convey the essence of our intentions. We will use the power of Gratitude. Applied science, when understood, acts according to the Laws of Nature. All we need to do is understand the Laws and use them as we develop our dormant powers. With Love in our Hearts, it IS safe to be Powerful. Please listen to your heart and soul, and join us if this resonates with you. This gathering will bring us together. In Unity there is Strength. In Truth there is Love. In Understanding there is a Vision that we can manifest together. 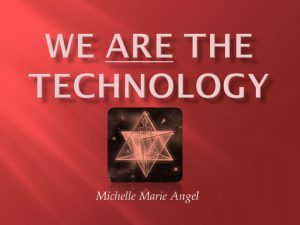 Blessings to All, Michelle Marie. Feed your soul with Light and give your heart Delight! Step 2 – Gather to form groups. Input on meeting times. 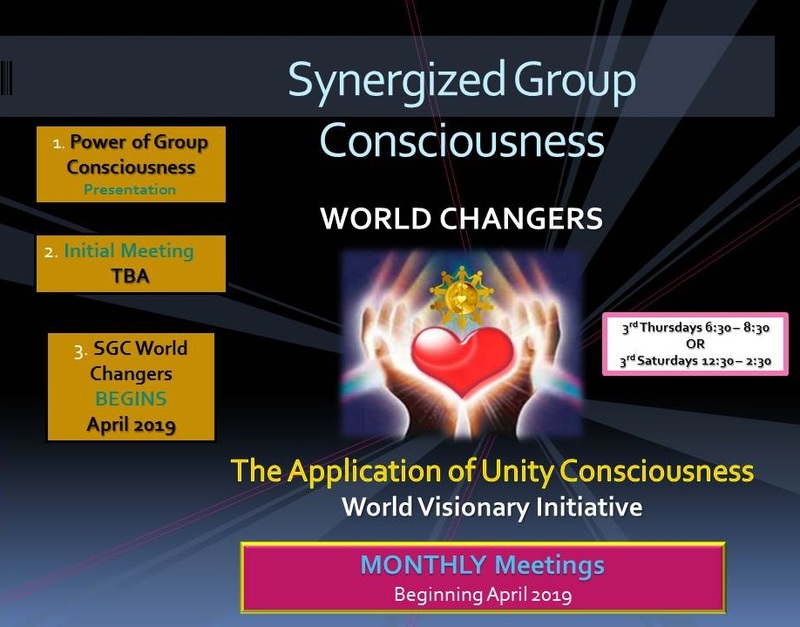 Step 3 – Begin monthly meetings. What is the Alchemy of Light Project? The Alchemy of Light Project is the commitment of one person to make a difference in the world. It is the example being set by a retired teacher to follow one’s heart, to live in integrity, and learn to love unconditionally to create a world of peace, harmony, and love. The Alchemy of Light Project is a solution-based action toward higher holistic education. This new education is designed to inspire the genius creativity in all generations of humanity. It’s about Life Energy and its mastery. It is based on the principle – with proof to follow! – that every single one of us has genius capability. This program inspires souls to reach their highest potential. Our natural vibration is LOVE! You will find the books and other literary products on this website. In addition, here are the Follow Your Heart INSPIRATION EDUCATION Program titles, as well as the Event & Video titles. EVENTS are offered on a rotating basis. THREE each SPRING, and THREE each FALL. Please consider making an inspired donation, large or small, to help make this vital information available to the world at large. Thank you. We appreciate your energy! At SMILE we give people their power back. We begin with self-actualization. We call this the “Maslow Upside Down” philosophy. Maslow’s “Hierarchy of Needs” goes in this order: (1) physiological needs—air, water, food, shelter, (2) safety and security—bodily safety, security of employment and resources, (3) love and belonging—the need to give and receive love, appreciation, friendship, (4) self-esteem—confidence, achievement, self-respect, and respect of others, and (5) self actualization—experience purpose, find meaning in life, realize inner potentials, morality, creativity, spontaneity, problem-solving, lack of prejudice, direct perception of truth. Self-actualization comes first. Realize your True Self, abilities, and power to propel your life energy towards success on every level of being and experience. Once one is self-actualized, all other needs come to us naturally: self-esteem from high integrity, creative solutions, and self-realized moral principles; love and belonging occur naturally through the giving of love which is our essential nature and giving of self and gifts through our unique expression; safety and security are accessed through the use of the soul’s power of unity consciousness and creativity; and physiological needs are manifested through the power of consciousness and God’s grace when one is self-realized and actualized. Through transformational education that inspires true self discovery, each and every one can discover their true genius, their inherent self worth, their purpose in life that gives life meaning, the realization of their inner potentials, inspired creativity, and high integrity. SMILE is dedicated to assisting receptive souls in achieving Self Realization and Activation. Our books, products, and programs make seemingly complex ideas and processes simple and applicable with reliable results. We wish all many blessings on life’s sacred journey. As you read the messages of truth and love contained in these books and products and on this website, take note of how you are feeling. Realize how much your soul needs to be fed the Truth. After all, Truth is soul food. Absorb the energy and let go of any life challenges you may be facing. Maybe you came to this website for a particular reason at this time. There just might be something that you read or need that sparks a flame to glow in your heart. Follow that flame to find your passion, your next step in life, or to overcome some difficult situation. Sense that personal guidance that is coming to you right now. You are not alone. We are One in Spirit and you are very loved—just as you are. Spiritual Miracles that YOU can perform! Through your conscious intention, you can increase your own radiant soul power, your self-worth, and your intuitive perception of Truth. And, you can discover your soul’s purpose – your life’s mission – and live a meaningful life of joyful expression. Love flows naturally when truth is perceived and expressed. We know when we are being deceived because our heart contracts and gives us a “funny feeling.” We know truth is being told or perceived when our heart opens. We feel light and happy. Truth feels like love. We are born free. Universal law ensures our free will choice. No matter where we are, we are free to think as we please. We are free to trust our inmost perceptions. We are free to make choices that lead to our health and happiness. When we realize that we are Spirit and know and live the Truth there is nothing or nobody that can take that freedom away. The intelligence that orders the Universe–God–has our back. This intelligence is the Light of our own consciousness when we attune to God and get into alignment with His will. Unite in this Spirit. Save freedom today!